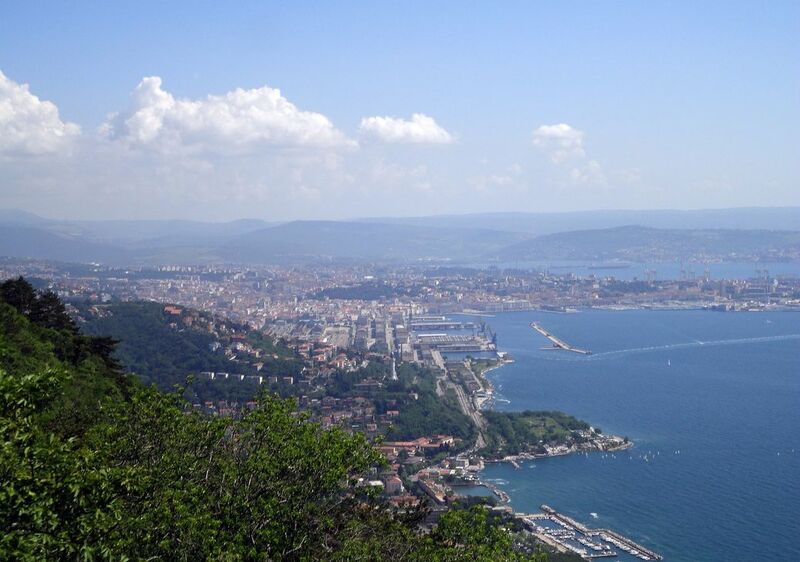 Welcome to Trieste, the capital of Friuli Venezia Giulia, an autonomous region in Italy. This vibrant city in the north-east part of the country exhibits a mix of Italian, Slovenian, German, and other cultures. It is the home of Illy coffee – reason enough to indulge in a cuppa Joe! FrecciaBianca trains offer direct connections between Milan and Trieste, via Venice. 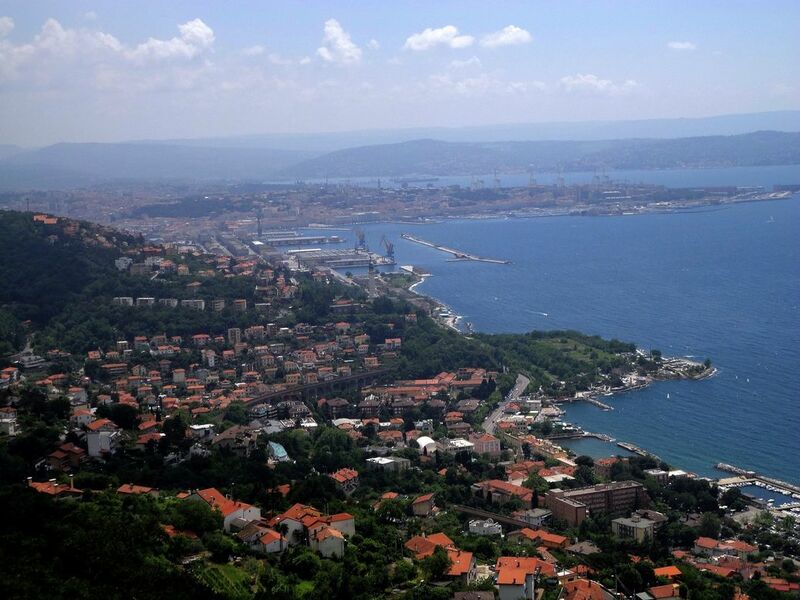 Thus, Trieste found an entry in our travel planner. Strada Vicentina (Strada Napoleonica): Get set go! 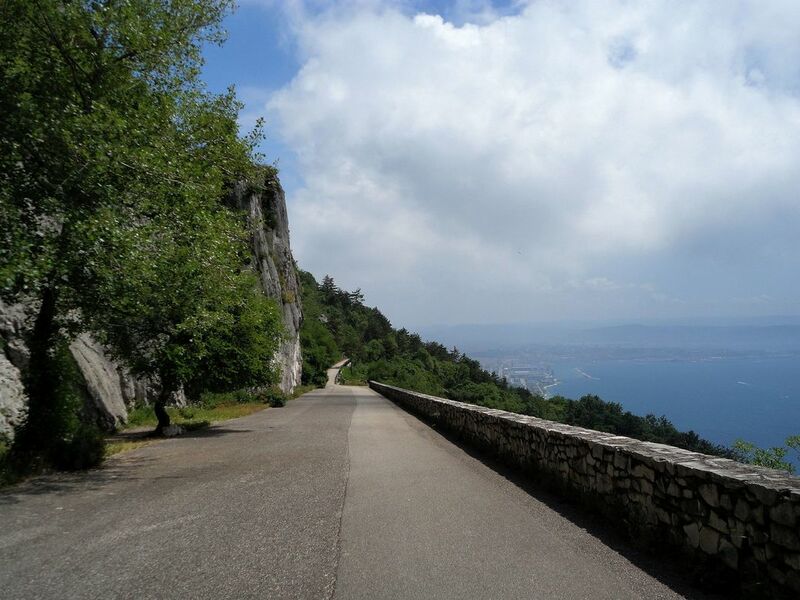 One of the most scenic trails that we have ever walked along is the Strada Vicentina or Strada Napoleonica at Trieste. 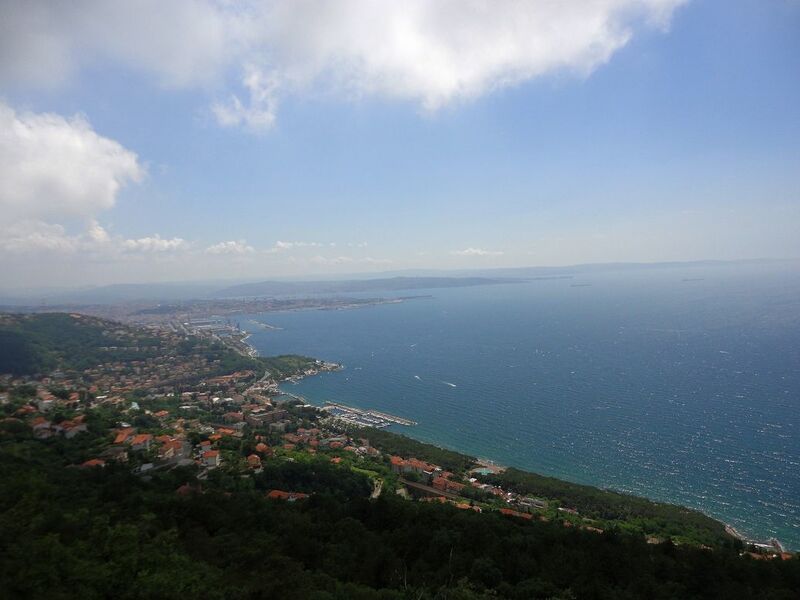 An easy pedestrian route, convenient for prams and strollers, offers spectacular views of the Gulf of Trieste. 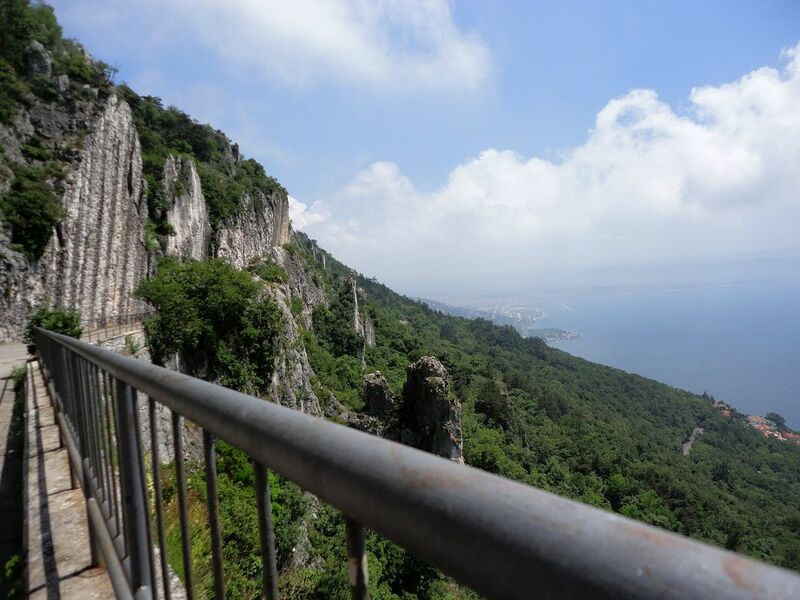 The panorama of the rooftops of Trieste below, the shimmering Adriatic Sea beyond, and the Istrian islands in the distance make this trail a favorite among visitors. The tram to Opicina was not operational, and so, we took a bus from Piazza Oberdan in the direction of Opicina, and alighted at the Obelisk. 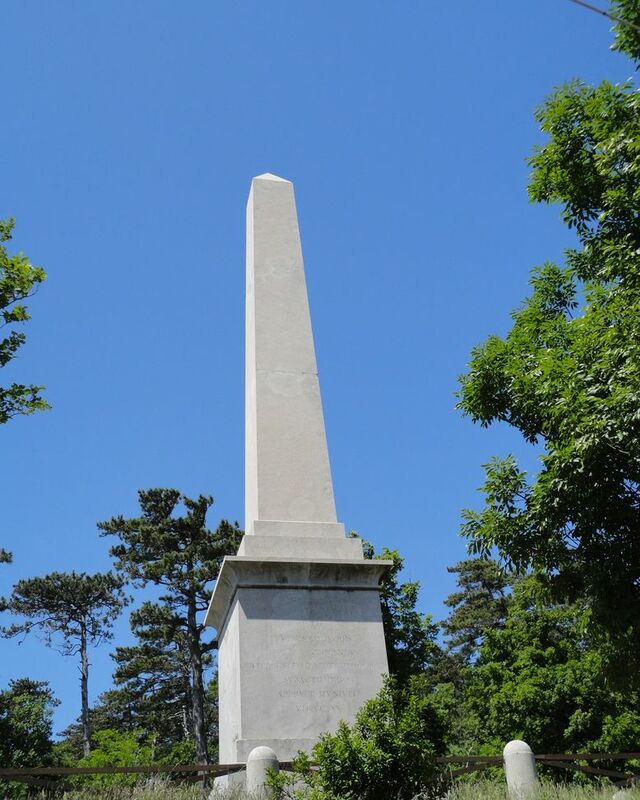 The Obelisk above the city of Trieste is a fine structure erected in the 1800s. 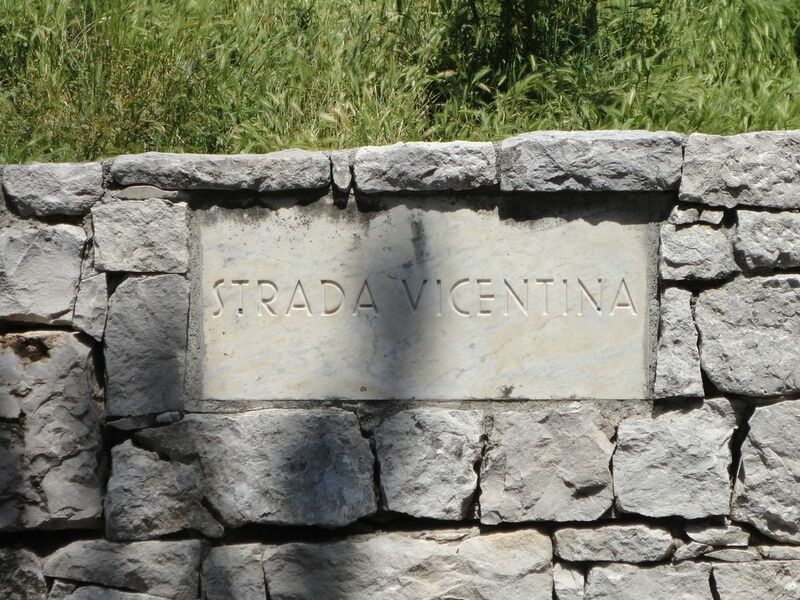 It marks the start of the beautiful Strada Vicentina (Strada Napoleonica), named after the engineer who was responsible for its construction. Take a few hours to stroll along this trail, and pause often to admire the breathtaking views, observe the vegetation (mainly pines), gaze at the seemingly endless stretch of sea, find peace and tranquility. We began our walk at the Obelisk. Junior loves morning hikes, and led the way along the trail. 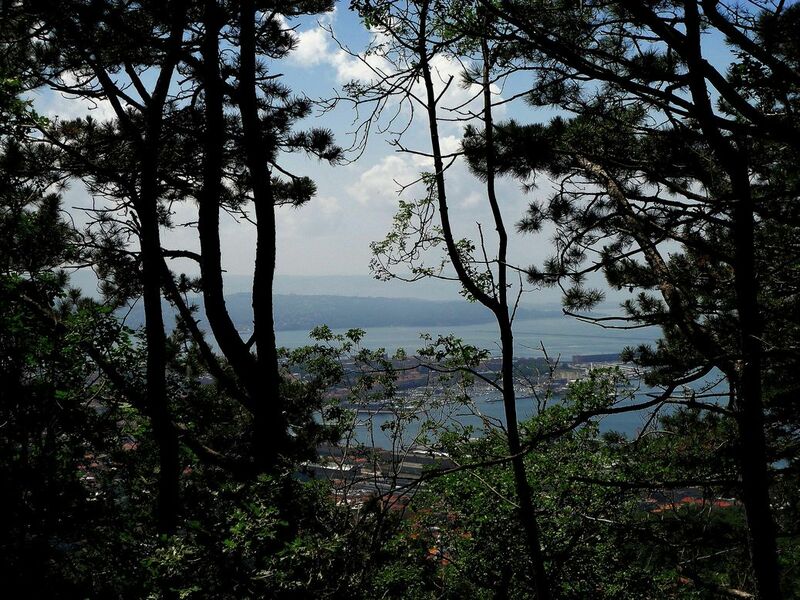 Soon, we caught sight of the city of Trieste below. The sea was calm, a few boats sailed forth to their respective destinations. I was excited to see the Istrian islands in the distance, a trip for another day. The lighthouse, Faro della Vittoria, made a pretty picture from up above. We took short breaks every now and then, admiring the vistas, dreaming of distant lands, examining lizards and rocks, ambling along, running a bit, sitting quietly, chatting excitedly. 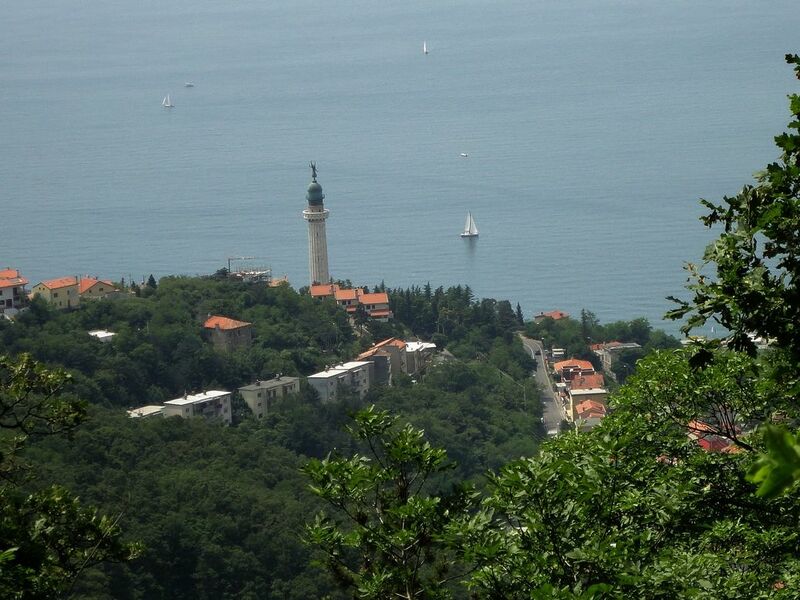 The Miramare Castle stood in solitude below, a white structure on the shore. We passed rocky cliffs, where enthusiasts were getting ready for the challenging climb. At this point, the “almost flat” pedestrian trail forked, one path led to Prosecco and the other path, a “forest” trail, CAI 12, looped back through another route to take us to the point where we started our hike. We chose the trail through the forest, carefully following the signs for the marked route, CAI 12. 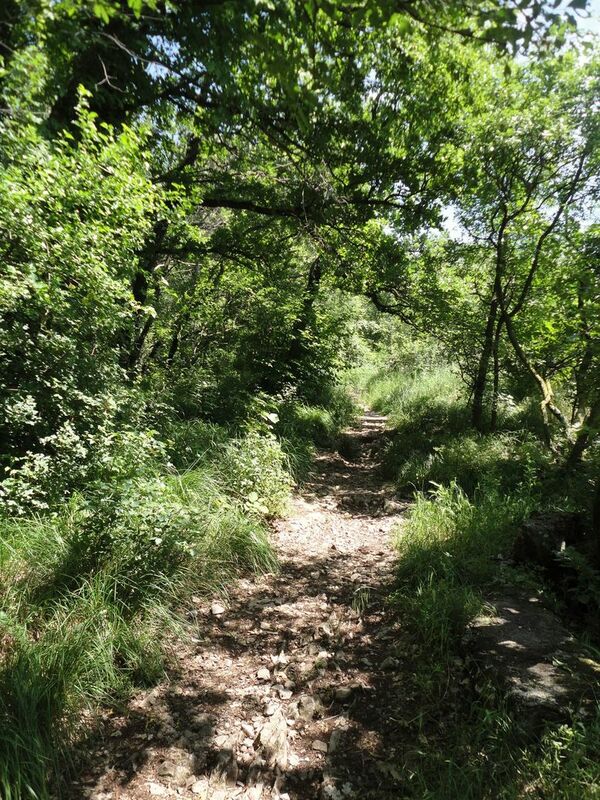 Ascending the path, after a while, we reached the observation point, Vedetta Italia. This place offers splendid views all around. We had walked for more than a couple of hours now, and decided to take a lunch break here. Picnic lunch over, Junior seemed enthusiastic to continue the hike. We followed the trail and were in for a treat. 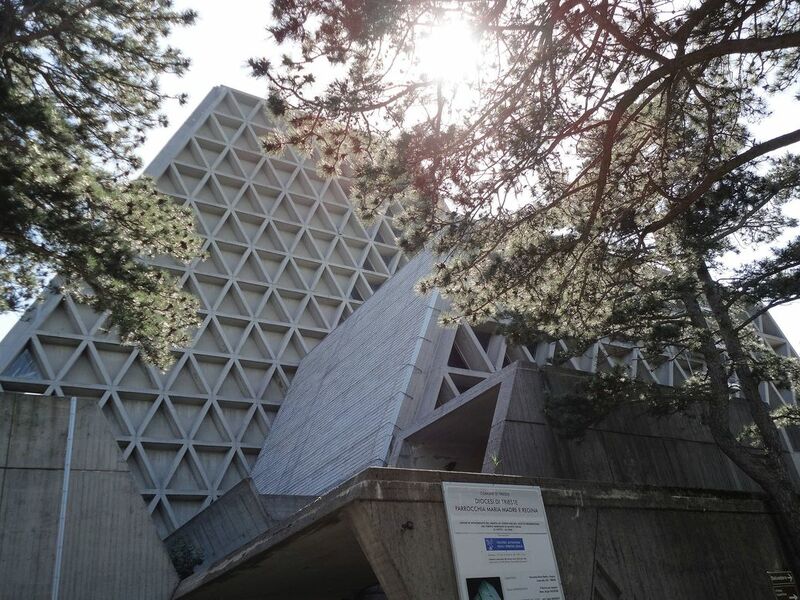 Soon, we were at the beautiful and unique Santuario Nazionale a Maria Madre e Regina. 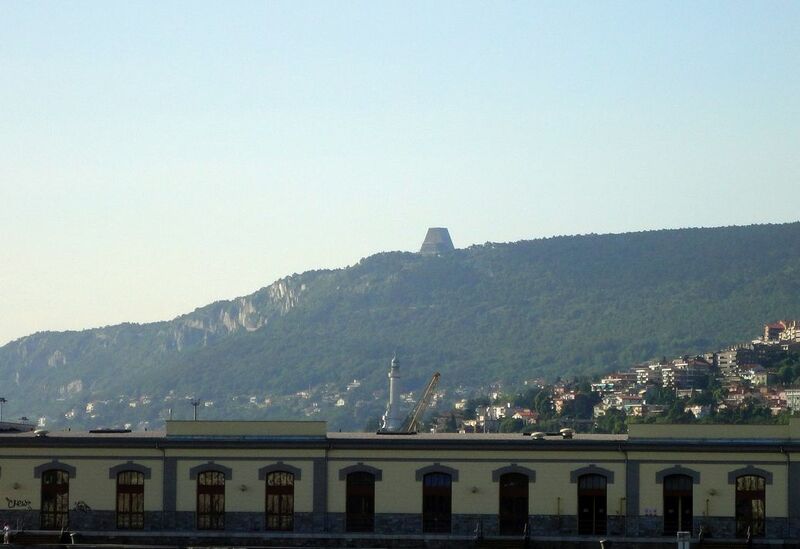 The trapezoidal structure of the church towers high above Trieste, and is visible from the city. The sanctuary is an oasis of peace. We visited the church, explored the garden, and couldn’t resist stopping at the cafe here :). It had been several hours since the start of our hike, and Junior was visibly tired. We decided to take the bus back to Trieste from here. 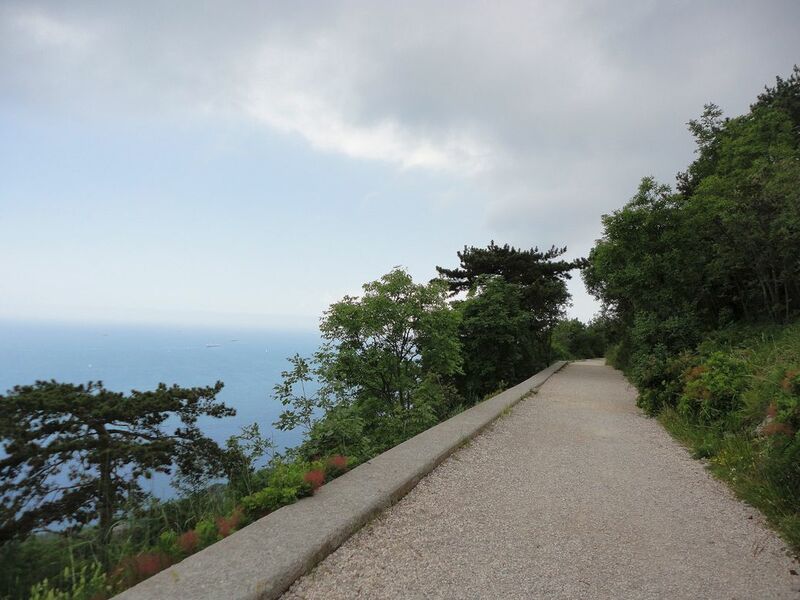 This scenic walking trail, the Strada Vicentina (Strada Napoleonica), was the highlight of our visit to Trieste. Junior talks about it excitedly even today! – Take the tram or bus from Piazza Oberdan to Opicina, and alight at the Obelisk. The trail starts from the Obelisk. – A detailed and useful description of the route and trail directions in Italian can be found here and here.